The Scoop: When you’re an adult with a full-time job, dating may be hard to fit into the calendar. It takes a lot of time and effort to find someone worth spending a Saturday night with — and not everyone has the patience to swipe through incompatible dates in search of “The One.” That’s where a modern matchmaker, such as Chai Expectations, can come in handy. 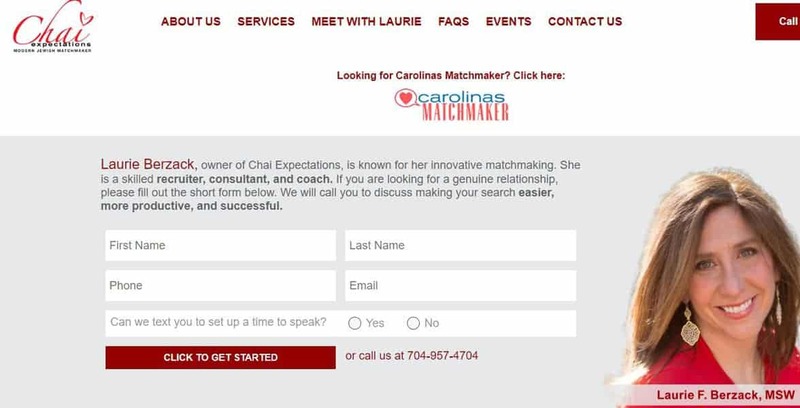 Laurie F. Berzack founded Chai Expectations in 2006 to come to the assistance of Jewish singles in North Charlotte and has since expanded throughout the Southeast. Alongside an impassioned team of matchmakers and dating experts, Laurie supports clients through the dating process and offers valuable tips, date recommendations, and feedback. Chai Expectations has grown its singles database nationwide and now aims to assist the modern dater with a straightforward, methodical, and practical approach to matchmaking. Laurie F. Berzack, MSW, is an innovative matchmaker based in Charlotte, North Carolina. 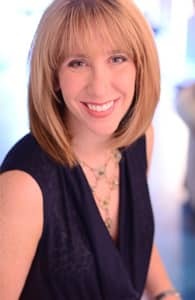 She founded Chai Expectations in 2006 to help Jewish singles meet their soul mates, and today she’s known as one of the top matchmakers in the world. Laurie Berzack founded Chai Expectations in 2006. Branding herself as a modern matchmaker, Laurie offers personalized assistance to singles who are ready to settle down but need a little help finding “The One.” Her company provides dating coaching as well as traditional matchmaking to save clients time and energy in today’s fast-paced dating scene. Laurie decided to bring matchmaking into the 21st century by incorporating an online database of singles and online dating advice into her company’s services. Laurie was a finalist for Best Matchmaker at the iDate Awards, which recognized the company’s trailblazing efforts to connect singles. Chai Expectations is on a mission to help its clients find the person they’re going to marry. Until the client says “I do,” the team’s job isn’t done. The matchmakers aren’t interested in building short-term relationships — they want to plant seeds of romance that will last a lifetime. This boutique matchmaking company offers dating services à la carte, so clients can choose what works best for them. The dating coaching services include online dating assistance and constructive advice. Laurie also sits down with singles in private consultations in person or over Skype or Facetime. She gives coaching clients homework and event invites to help them come out of their shells. After a quick application, Chai Expectations puts together a tailored dating plan for new clients. A lot of clients go the traditional matchmaking route, which includes a background check, dating coaching, database listing, event invitations, and, of course, personalized date recommendations. Memberships typically last a year, during which time the matchmakers set the client up on as many dates as they can. The matchmaking team takes care of all the details of the date to take the pressures off their clients. A team member also follows up with both individuals to see how things went and provide feedback if necessary. Laurie only works with a handful of clients at a time because she wants everyone who works with her to feel they have her undivided attention. She is wary of spreading herself too thin because she cares about the quality of service clients receive. She operates a boutique matchmaking company, and that means taking a personalized approach to every match. Based in Charlotte, North Carolina, Chai Expectations serves singles in the Southeastern United States, but it also has members in large cities including Los Angeles and Chicago. The matchmakers believe geography isn’t important to a match as long as one or both parties say they’re willing to relocate for the right person. They introduce people who have a genuine shot at making a marriage work, so if a client only wants to stick to dates in a certain mile radius, they’re happy to comply with those preferences. The membership includes Jewish singles ranging in age from 22 to 80. The majority are well-educated and relationship-minded individuals who lead busy lives and want a fast solution to dating difficulties. Rather than navigate the bar scene or online dating on their own, they prefer using a personalized, friendly, and hands-on service to help them meet someone special. Although Chai Expectations is a relatively small team of four dating experts, they have spent decades creating a network of singles and have a lot of resources at their disposal when seeking a potential match for their clients. The team boasts a great track record for introducing clients to their future spouses. Chai Expectations makes a compelling case to potential clients on its website, arguing that it can offer more resources than friends, more personalization than a dating site, and better odds than the bar scene. Leading by example, Laurie arranges one-on-one consultations with clients and promotes a hands-on approach to matchmaking. She puts people at ease with her outgoing, personable, and sincere conversational style, and she carefully thinks through how her actions can help her clients reach their relationship goals. The individuals on the Chai Expectations team love working with people and understand the subtleties of the dating world. For instance, Client Services Specialist Molly Jarzmik focuses on the importance of making a good first impression on a date. She uses her experience as a wardrobe stylist to provide tips on how to dress to impress. She also works on event organizing, running social media campaigns, and giving post-date feedback to clients. From putting together a successful event to arranging a fun date, the Chai Expectations team gives their all to making sure singles have opportunities to put themselves out there and find a romantic connection. Over the years, Laurie has purposefully kept her matchmaking business small and intimate because she doesn’t believe in a copy/paste approach to love. Instead of taking a one-size-fits-all approach, Chai Expectations offers tailored dating services that have a proven track record in the Jewish dating scene. Countless marriages have formed thanks to the work of this dedicated team. Whether she’s throwing a charity event geared toward singles or giving online dating advice to a client over Skype, Laurie provides relevant, down-to-earth, and compassionate support for today’s busy singles.